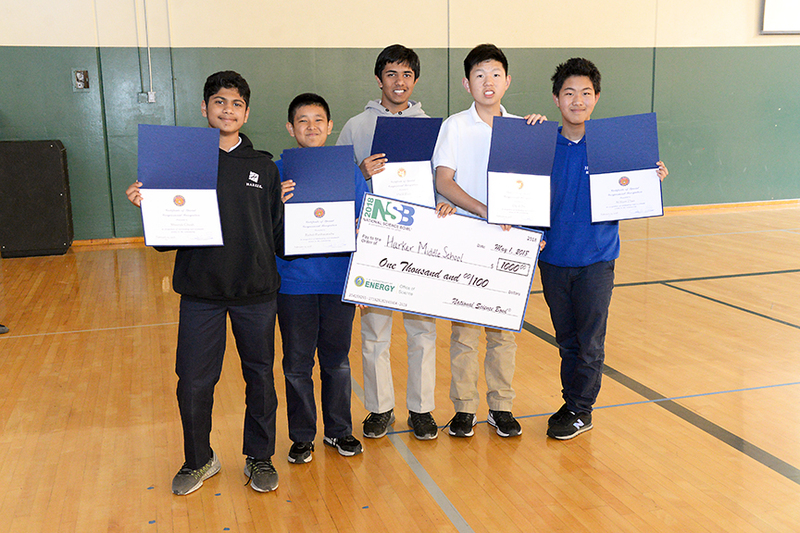 In April, eighth graders David Dai, Harsh Deep, Shounak Ghosh, Rishab Parthasarathy and William Zhao received certificates of commendation from Congresswoman Anna Eshoo, who represents California’s 18th Congressional District. Eshoo graciously issued the certificates to congratulate the students on reaching the finals of the National Science Bowl, which took place April 26-30 in Washington, D.C. The team reached the final double-elimination bracket after winning a tough round robin, where in one match it scored an unusually high 204. “The scoring judge even said that they do not see scores so high in the national competition and offered to give us the score sheet as a souvenir,” said middle school mathematics chair Vandana Kadam, who accompanied the team to the event. Harker received $1,000 for the team’s success in the round robin portion of the event.